Back pain is a common but debilitating condition that can interfere with your livelihood and reduce your quality of life. At Fraum Chiropractic Life Center in Hilton Head Island, we know how important it is to get to the bottom of your symptoms and find a solution that actually works. Our all-natural approach means we never mask your pain temporarily or make assumptions about your condition. Your spine is a complicated network of muscles, nerves, and bones that work together to absorb force and provide flexibility and strength. Pain, discomfort, and loss of mobility come in many different forms, because there are many different ways to damage or injure your spine. Lower back pain may seem more specific, but it still has hundreds of potential causes, from degenerative illnesses to sudden injuries. 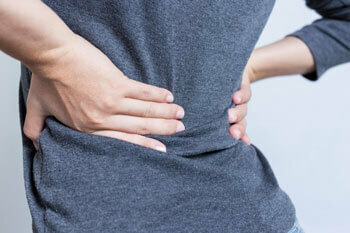 Fortunately, there are also a variety of treatment options for low back pain. No matter what is causing your back pain, you have your pick of treatment options. However, we recommend an all-natural path to pain relief, incorporating chiropractic techniques that approach your body as a whole and aim for long-term relief. Instead of pharmaceuticals that cover up your symptoms for short-term relief – or surgical treatments that come with new, painful symptoms and require long-term recovery – we recommend a personalized, all-natural chiropractic regimen. Our chiropractic manipulations include manual adjustments and special devices to realign your spine, reduce inflammation, and improve functionality. Reach out to us to schedule an appointment.